Radio Mirchi 98.3 FM: The FM radio station Radio Mirchi, which is owned by the Times of India group, has displeased the Smriti Irani-led Union information and broadcasting ministry for airing a campaign titled #MatAaoIndia (Don’t Come to India), telling foreign tourists to stay away from the country. 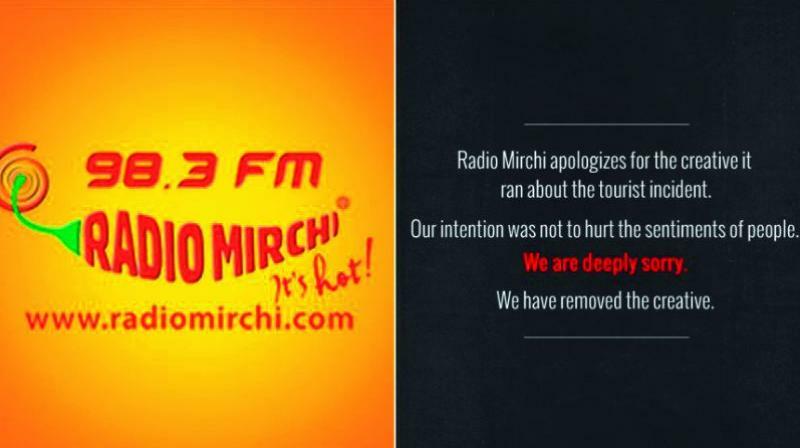 Radio Mirchi aired the campaign after the attack on Swiss tourists in Fatehpur Sikri last week. Guests are not gods. Do not come to India. The campaign was taken down after a flood of criticism on social media; some users branded the radio station “anti-national” — the new buzzword — and advised followers to “unfollow” the station on Facebook and Twitter. The tone of the Radio Mirchi #MatAaoIndia campaign was in sharp contrast to the previous campaign in which Aamir Khan urged better treatment of foreign tourists. The notice was served on October 27 and the FM station has been given 15 days to respond as to why it should not be penalized. “It was brought to the ministry’s notice that the radio channel was discouraging foreign tourists from visiting India through their broadcast,” the notice said. “The content in question is defamatory and violated the AIR (All India Radio) code,” it said. Radio Mirchi has also been sent a verbatim transcript of the campaign, sources added. Radio Mirchi has been asked to furnish its reply within 15 days of receiving the notice, failing which the ministry would be constrained to initiate action, sources stated. It is learned that the radio channel operator is bound by the Grant of Permission Agreement (GOPA) it signed with the government. The agreement requires operating, establishing and maintaining set terms and conditions. Therefore, via the GOPA Phase-III provisions, the channel has been asked to show cause as to why penal action shouldn’t be taken against it, sources added.